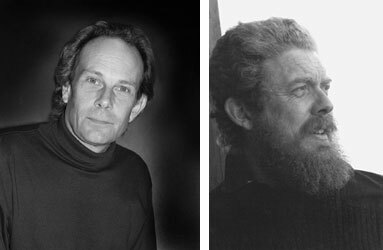 Poets Allan Cooper and Harry Thurston will read from The Deer Yard and Keeping Watch at the End of the World, respectively on Thursday, Nov. 19 at 7 p.m. in the Ganong Hall Lecture Theatre. Harry Thurston is the author of 25 books and has had his environmental writing published in Audubon, Canadian Geographic and National Geographic. His work has won the Sigurd Olson Nature Writing Award, the Lane Anderson Award for best science book in Canada, and four Evelyn Richardson Memorial Literary Prizes. Allan Cooper has published a dozen books of poetry, including The Alma Elegies, Gabriel’s Wing and Singing the Flowers Open, and has twice won the Alfred G. Bailey Award for poetry. The founder of Owls Head Press, he is also a songwriter and performer.